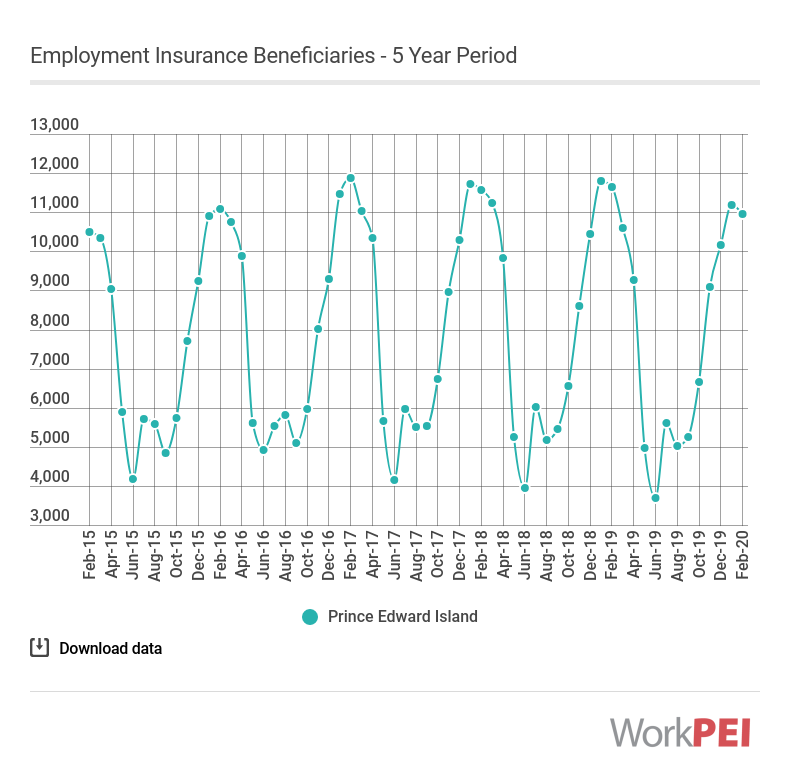 In January 2019, based on data unadjusted for seasonality, 11,740 people received regular Employment Insurance (EI) benefits in Prince Edward Island, up 1,340 recipients from December 2018. Compared with January 2018, the number of beneficiaries increased by 10, or 0.1%. By comparison, the number of beneficiaries decreased by 9.8% in Canada over the same period. 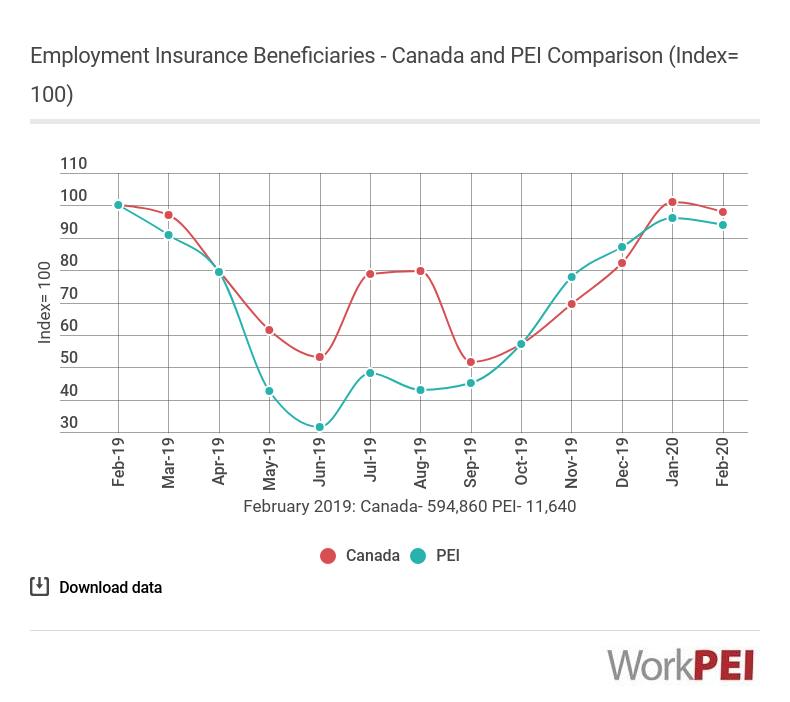 Adapted from Statistics Canada, Table 14-10-0010-01 (Employment Insurance program beneficiaries receiving regular income benefits). This does not constitute an endorsement by Statistics Canada of this product. 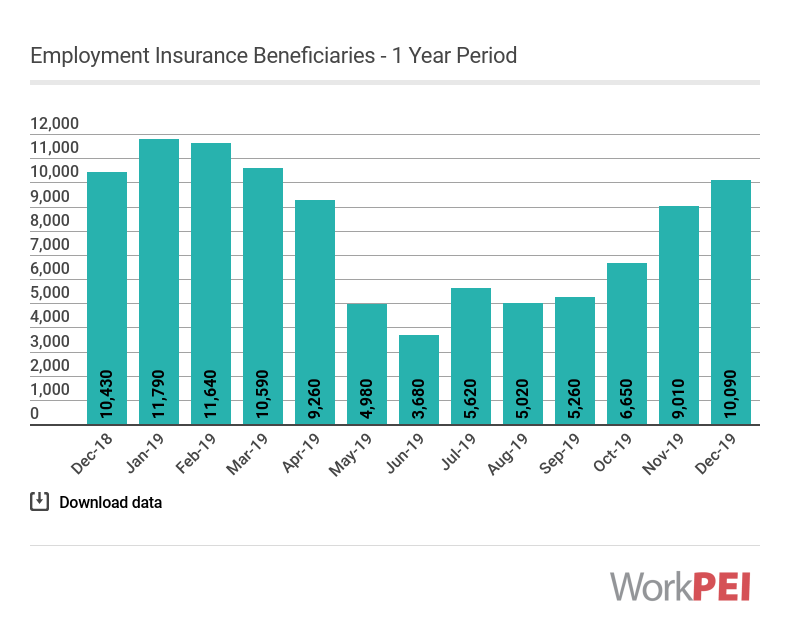 Adapted from Statistics Canada, Table 114-10-0336-01 (Employment Insurance program beneficiaries receiving regular income benefits). This does not constitute an endorsement by Statistics Canada of this product. 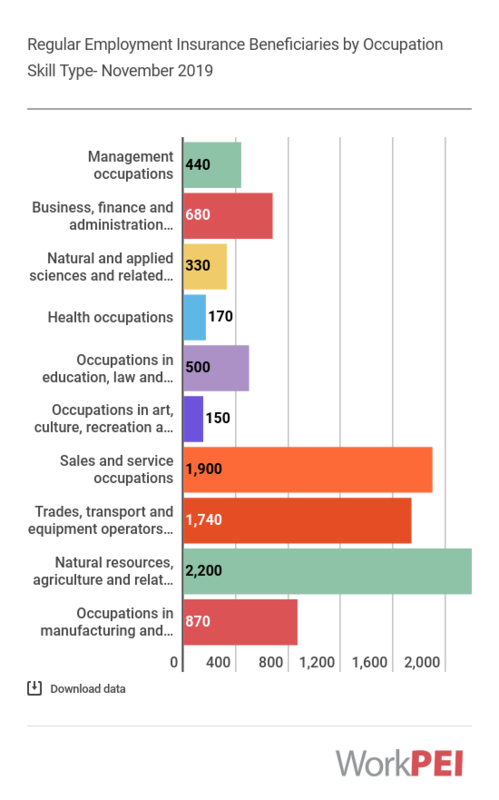 The number of Employment Insurance beneficiaries represents a count of persons who lose their jobs and who are available for and able to work, but can’t find a job. For this indicator seasonally adjusted estimates are shown.